The mission of the Black Rhino’s mentoring program is to address the academic, social, and community challenges that young men are confronted with on a daily basis. Through completion of the Black Rhinos mentoring program, the participants will be prepared to serve, lead, and achieve in society. What is the Black Rhinos Mentoring Program? 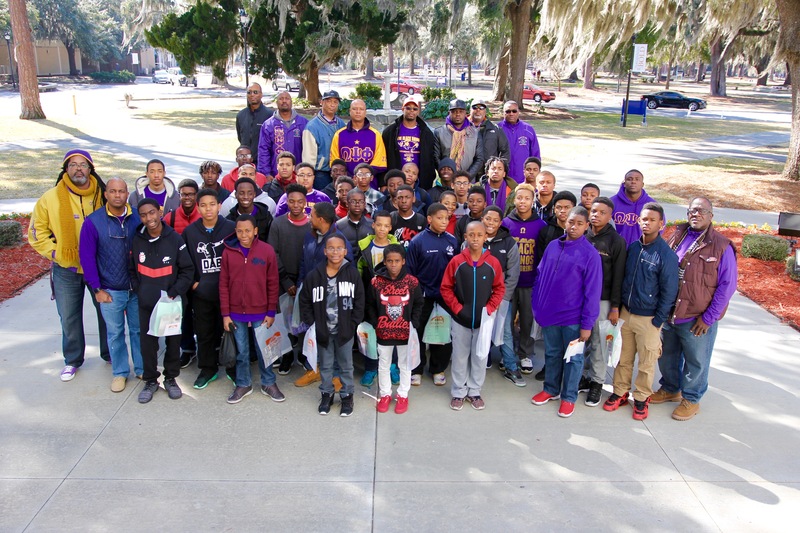 The Delta Mu Mu Chapter of Omega Psi Phi Fraternity, Inc. began the Black Rhinos mentoring program in 2010. Since 2010, CTE has served as the primary financial sponsor for the Black Rhinos program . the Black Rhinos program has provided mentoring services to African American male youth. Who are the Black Rhinos? The Black Rhinos mentees are composed of young males throughout Metro Atlanta, grades 6 – 12. The Black Rhinos are individuals who come from a variety of backgrounds, socio-economic status, and academic achievement. Through continuous exposure, the brothers of the Delta Mu Mu Chapter aim to provide real life experiences that enrich the lives of the young men in the Black Rhinos program. These include the following type of programs: college tours, ski trip, yearly black history month trip, professional sports events, and SAT / ACT Prep session. During the Christmas community service project, the Black Rhinos prepared Christmas bags and served breakfast to homeless families in the local community. On MLK Day of service, the Black Rhinos participated in a community service project at Sandy Springs Charter middle school, where they repainted the cafeteria and engaged in a school beautification project. After community service, the young men participated in the MLK March in Downtown Atlanta. During the course of the Black Rhinos program, several seminars were conducted to expose the positive values of manhood. Some sessions provided throughout the year included: Career Fairs, Dress for Success Seminar, Tire-Changing Workshop and Respect for Women Seminar.